An architect’s rendering of the new UF Equine Acupuncture Center. A world-renowned veterinary acupuncturist is to head a new acupuncture center for horses in Florida. It comprises a 6240-square-foot barn which includes 12 stalls and a treatment area, and a 12,500-square-foot arena. 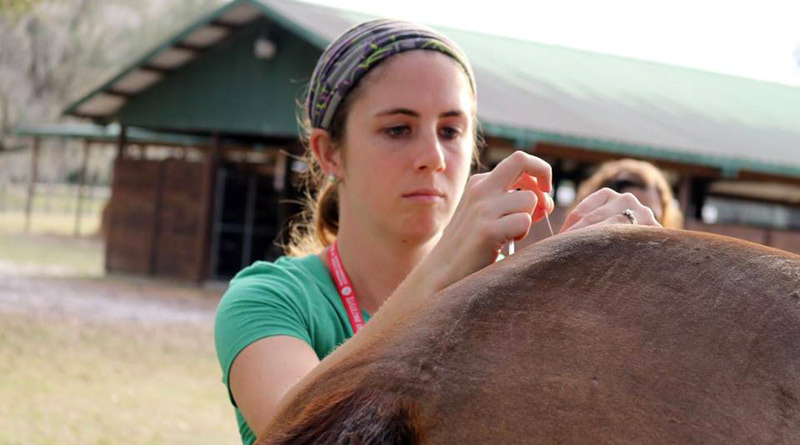 The center will function as a clinic through which Xie, a clinical professor in the integrative medicine service at the UF Veterinary Hospitals, will provide acupuncture therapy to aid in treatment of a variety of conditions affecting horses.